Holiday gift giving can always be a little stressful especially as Christmas gets closer. Whether you’re searching for a gift for a friend, coworker, in-law or secret Santa, this guide is sure to have something for everyone on your list! This guide also contains DIY projects that make excellent low cost gifts, personal gifts. DIY Terrarium – This is an easy inexpensive project that makes for an impressive gift. Also, it’s a great gift even for someone who is worried about killing plants, you can place air plants or succulents which are super low maintenance & nearly impossible to kill. Just remind them to mist once a week & keep in indirect sunlight! Find the tutorial here! Kate Spade small square studs $48 here. 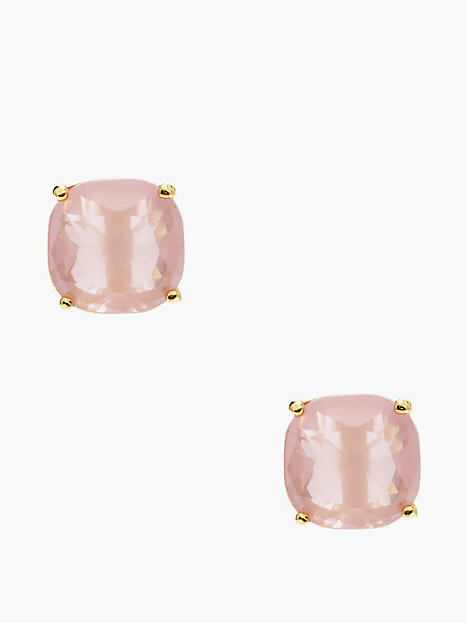 These square studs come in a variety of colors, my personal favorite are these blush pink ones. These make for a great girly gift. Who doesn’t like receiving one of those precious Kate Spade boxes? DIY Scented Candles – follow the tutorial here to make an easy handmade gift that’ll impress anyone on your list! Set of 3 Painted Wooden Vases here $46 . 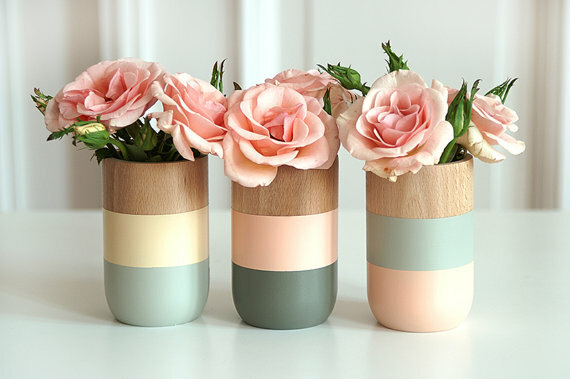 These vases are neutral enough to add a cute accent to any home or apartment. 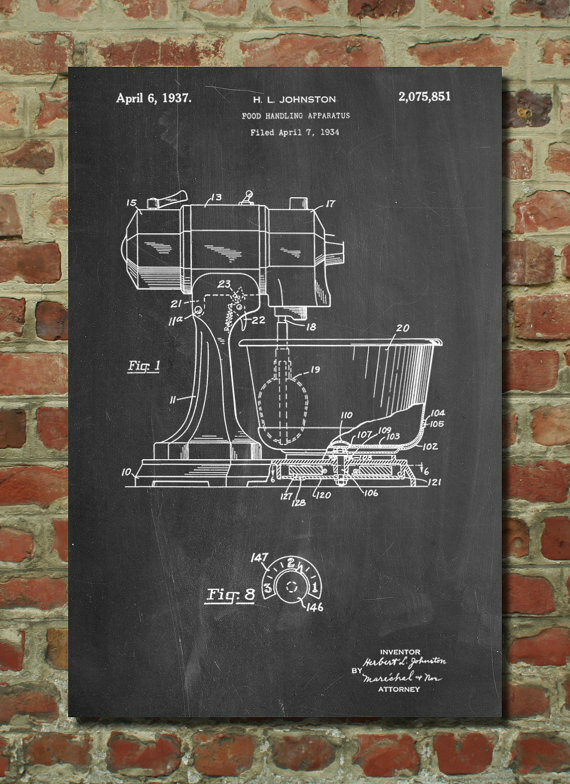 Patent Prints – This etsy shop has poster of patents for everything under the sun. I purchased a set of golf club patent prints for my brother. You’re sure to find something for everyone at this shop, whether it’s kitchen decor, or a Lego patent for the play room. This shop offers unique gifts for someone who has everything. DIY String Art – This DIY tutorial is an easy gift that anyone will love. I first made the Texas state one for my husbands birthday when we first were dating & he LOVED it. I finally got around to making the California one, they hang side by side in our hallway & they’re constantly getting complimented! Here’s the tutorial for how to make this awesome decor piece for less than $25! On the go Gulpy – This ingenious product is the perfect gadget for any dog owner on your Christmas list! We used to have to carry around a water bottle for the dog plus a little bowl. inevitably the bowl would get knocked over or the puppy would chew through it when we weren’t watching. We use this anytime we’re taking the dog out for hikes or even just on a road trip. This was a game changer, I guarantee any dog owner will love this gift! Spiralizer – – This was an item that was on our wedding registry that I ached for! I use the spiralizer about once a week to make my “faux carb” pastas. It’s an easy way to create healthy low carb meals. This is the perfect gift for someone who loves kitchen gadgets. William Sonoma also offers the spiralizer with a companion cookbook, however if you don’t want to spring for that, a quick search on pinterest can land you hundreds of recipes. Find it here! 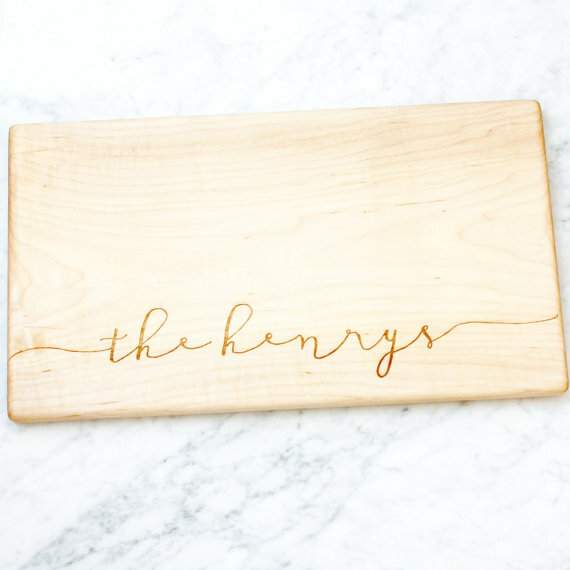 Personalized cutting boards. Anything from family names, monograms to breaking bad boards! These make great gifts for the newlywed couple on your holiday list!